Kathrynsreport.com has one channel named 'Kathryn's Report'. The website has a low global rank with a value of 305 827. 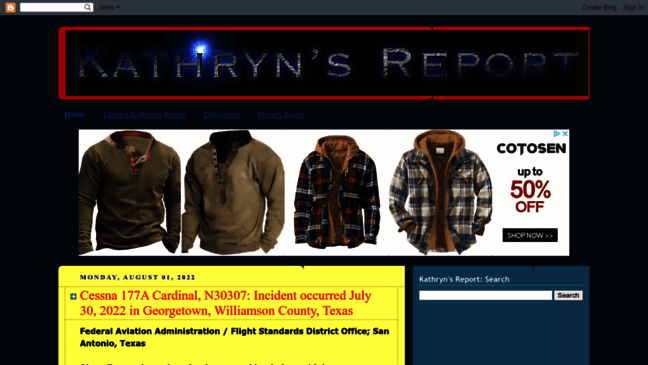 Kathryn S Report is a website of moderate traffic with 3.85K visitors daily.